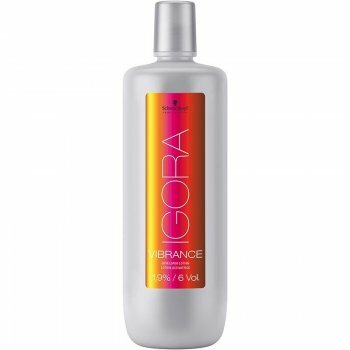 This cream peroxide developer by Schwarzkopf is designed especially for Igora Vibrance. It has the perfect consistency and peroxide strength to deliver the best colour results when using Schwarzkopf&apos;s tone-on-tone colour system. 4%, 13 Vol, 1 Litre.